This entry was posted in Humor, laugh, Laughter, Mother, Parents, Sports, Step Parenting, Uncategorized and tagged concert, gun, Metallica, pink, Rock, Shooting range, tough, toughness. Bookmark the permalink. 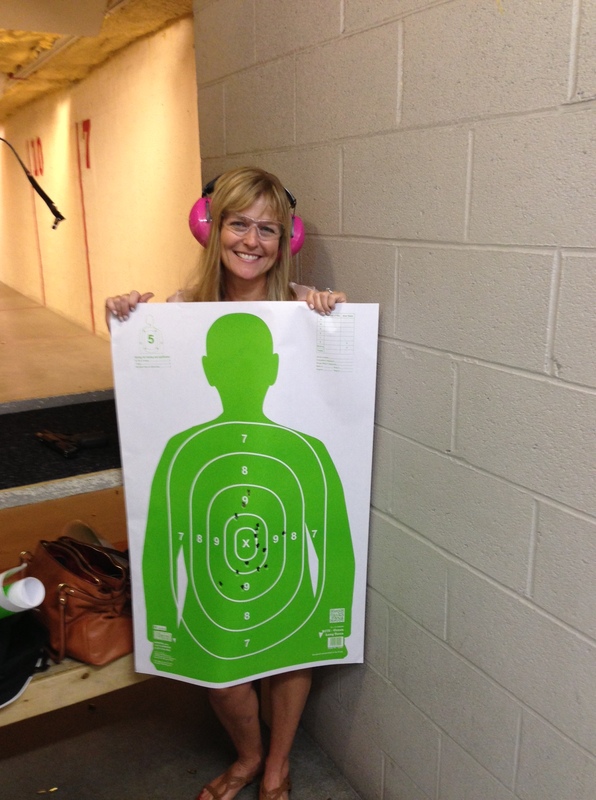 of heads turning at the shooting range!!! 🙂 Thanks for entertaining so many with your natural humor! First, nice grouping. Second, my wife would love the pink ear protectors! This may be the perfect post. You hit it all, Metallica Concert, shooting guns, camping, creepy guys looking in purses, toughness and the color pink. Reminds me of a David Allen Cole song. I guess no one is perfect. Ha ha. Usually I got a look like I had three eyes. Rarely someone got it. But when they did, they quickly became best friends.